A new site opened on Friday, June 15, 2018, at the LHC, the Large Hadron Collider. 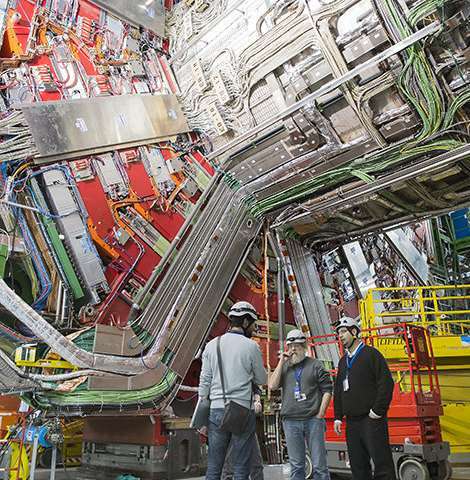 Begun in 2011, this project aims to commission a high-luminosity LHC (HL-LHC) by 2026 that will increase the number of proton-proton collisions and gather more data. France is contributing substantially to this project (to the tune of 180 million euros, including salaries). Teams at CNRS and CEA are participating in technological research and development specifically on superconducting magnets and on extending the lifespan of detectors and the accelerator. In France more than 400 scientists are involved with this renewal of the world's largest and most powerful particle collider. 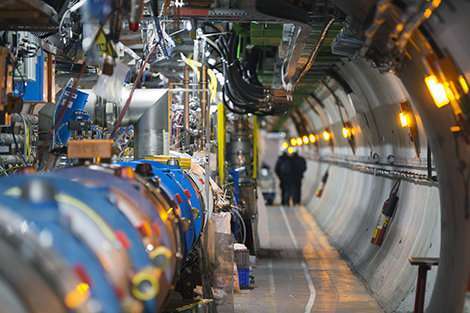 The LHC – Large Hadron Collider—was first brought into service in 2008. It is a ring with a 27-kilometer circumference equipped with thousands of superconducting magnets that hold accelerated particles inside the ring. The propelled particles collide at a speed close to the speed of light. 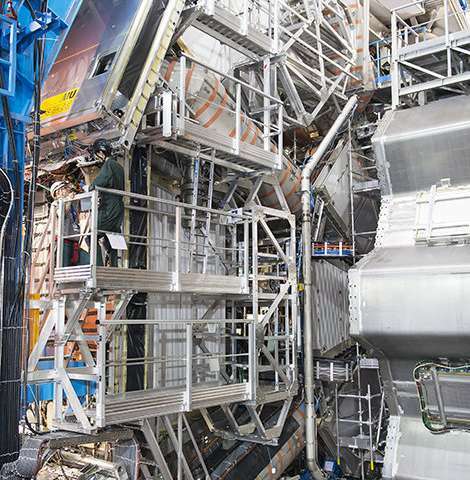 To collect data, the collider has four particle detectors: Atlas, CMS, Alice and LHCb. This new work is to increase the collider's luminosity by a factor of 5 to 7, concentrating the largest possible number of particles in the smallest possible space, thereby increasing the number of collisions at the moment that the two proton beams cross. This will allow scientists to study rare phenomena and to obtain the indispensable high precision results needed to specify Higgs boson properties. More broadly, this is a step towards understanding the standard model and scenarios that flow from it. Teams from the CNRS, the CEA, and their university partners will work on the Atlas and CMS particle detectors: important improvements will be made to the detectors so that they function with better performance in much more intense conditions. For both the detectors and the accelerators, these projects are in collaboration with small- and medium-sized French companies. As part of scientific projects, France also envisages contributing to the challenge of processing the data from the HL- LHC experiments, which will exceed the exabyte1 scale for the first time.